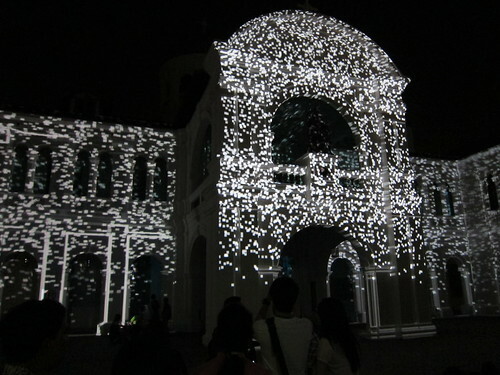 Last week is my revisit to Voyage Night Festival 2011, and the end of the 2 weeks long night festival. Went back to check out some of the galleries I’ve missed out. Some of the indoor exhibitions are no longer there anymore. More importantly, we have a different group of outdoor performances ready for the night. 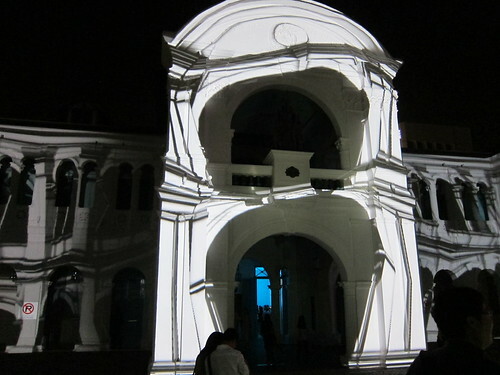 The highlight of the night would be Lyrical Perspective light projection on SAM facade by 1024 architecture. Through just light, shadows, precision and music, SAM facade comes alive for the night. You probably get the story of light transformations if you stay through from the beginning to the end. 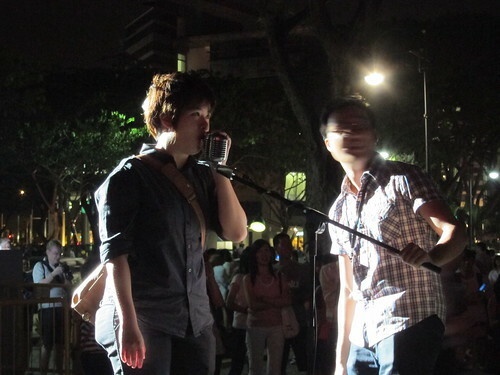 After the short installation performance, audiences are also invited to interact and make changes to the light if you speak into a mic. Love the human interaction. I’m sure those who participate enjoyed!